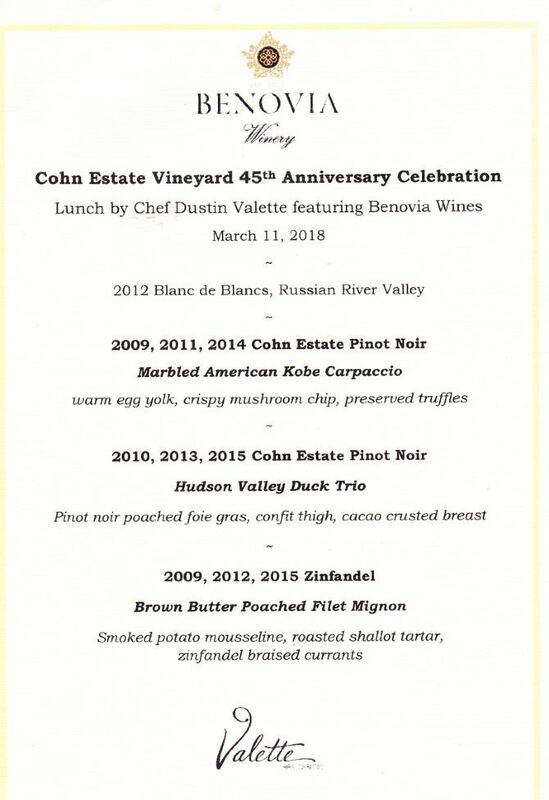 On Sunday, March 11, 2018, fans of Benovia wines (“Benovians”), gathered at Valette Restaurant in Healdsburg for a special luncheon prepared by acclaimed Chef Dustin Valette accompanied by a tasting of multiple vintages of Cohn Estate Vineyard wines. 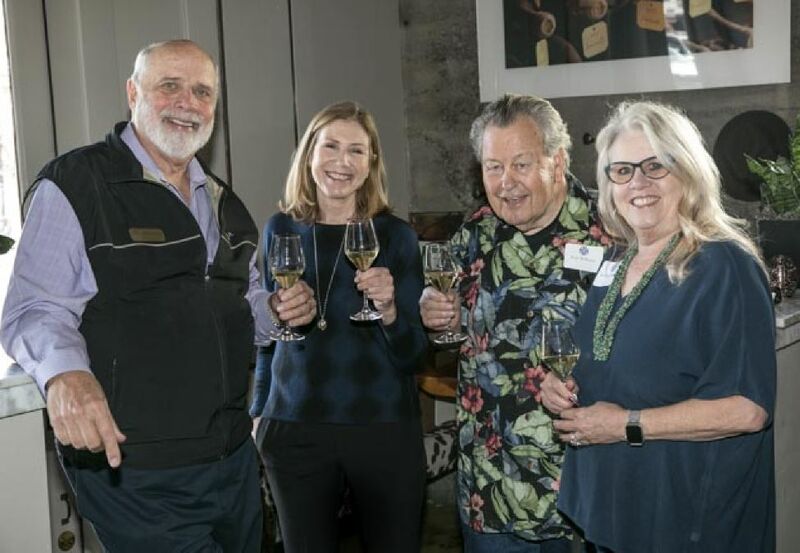 Special guests at the luncheon, hosted by Benovia Winery owners Joe Anderson, Mary Dewane and winemaker Mike Sullivan, included iconic former Williams Selyem winemaker Burt Williams and the current Director of Winemaking at Williams Selyem, Jeff Mangahas. After the luncheon, a tasting of latest releases from Cohn Estate Vineyard by Benovia, Williams Selyem and Kosta Browne wineries were held at Joe and Mary’s home adjacent Cohn Estate Vineyard. Exclusive tours of the Cohn Estate Vineyard was also provided to attendees. Honored attendees: Upper photo, L to R, Joe Anderson, Mary Dewane, Burt Williams and Rebecca Williams. 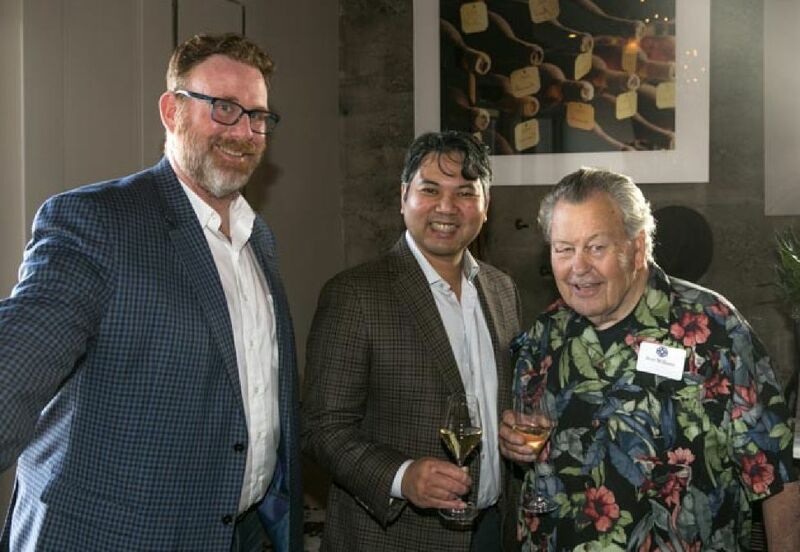 Lower photo: L to R, Benovia winemaker Mike Sullivan, Williams Selyem winemaker Jeff Mangahas, and winemaker Burt Williams in his trademark Hawaiian print shirt. The 2012 Benovia Russian River Valley Blanc de Blancs Sparkling Wine is an inaugural offering from the winery. It was sourced exclusively from the Martaella Estate Vineyard using heritage clones of Chardonnay. The wine was aged 5 years on the lees. Bright aromas of lemon, pineapple and vanilla cream and on point flavors of citrus and white stone fruits, leading to a dry, mouth-cleansing finish. Terrific as both an aperitif and a food wine. $50. 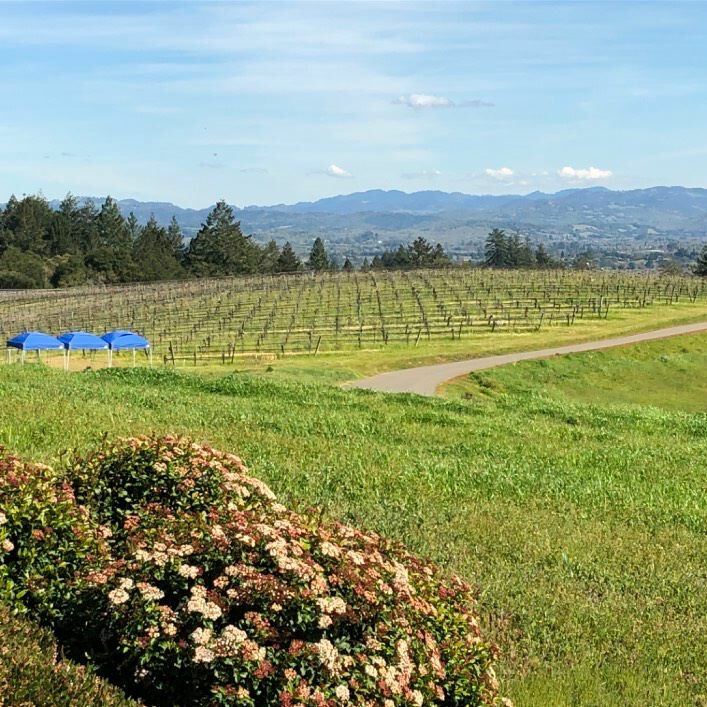 All of the Benovia Cohn Estate Vineyard Pinot Noirs showed beautifully and reflected the particular character of their vintage.The 2009 vintage, the first year the vineyard was farmed organically, was the favorite of many at our table. Despite the vintage differences, there was a common thread of darker fruits, spice and a perceived “minerality.” The 2009 Benovia Cohn Estate Vineyard Zinfandel was again the favorite of mine of the three vintages tasted, showing a substantial tannic backbone that had folded into the fruit in an amorous relationship. 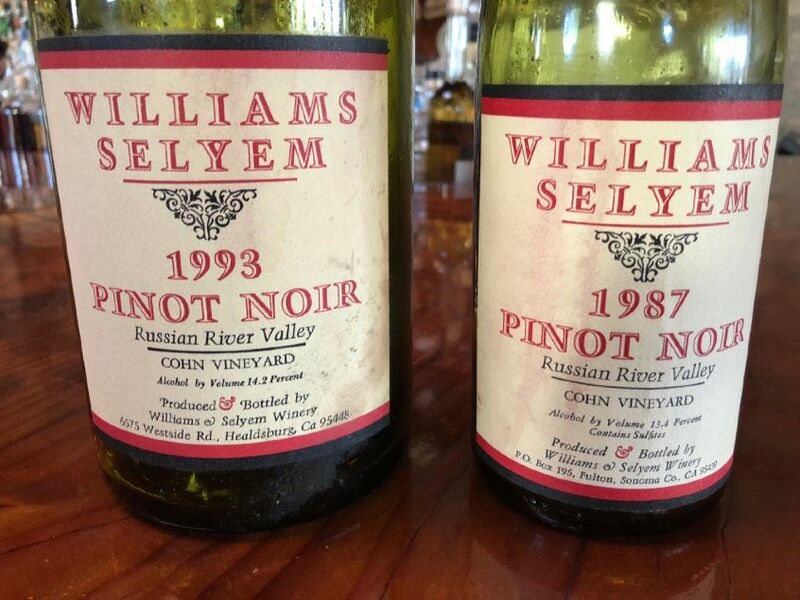 Burt Williams, while at Williams Selyem, produced a Cohn Vineyard Pinot Noir in 1987, 1989 and 1993. Because of what he considered undesirable farming issues at the time including overcropping and irrigation, he did not buy grapes again after 1993. He brought a 750 ml bottle of the 1987 vintage for the luncheon group to taste. The wine had an amazing life, with vibrant notes of tart cherry, strawberry, dried flowers and sandalwood. Burt also generously brought a magnum of the 1993 vintage he produced and this wine was magnificent as well. 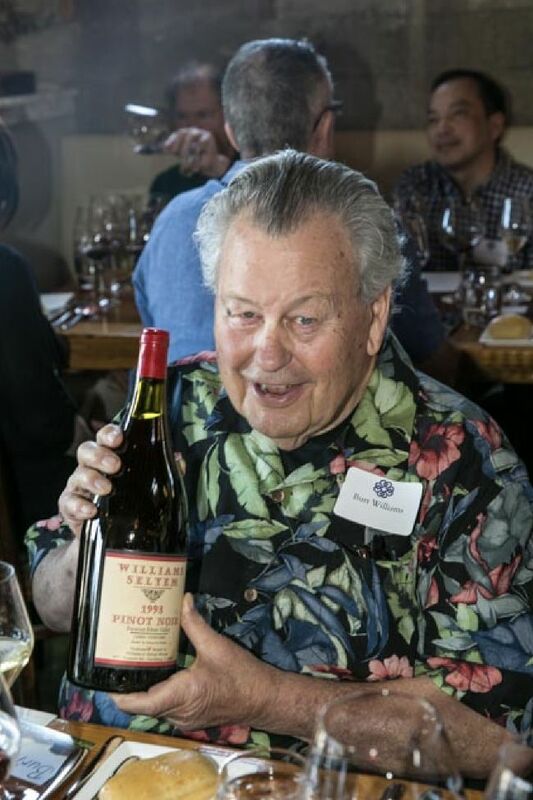 It was the 1993 Williams Selyem Cohn Vineyard Pinot Noir that was Joe Anderson’s epiphany wine, switching him from a preference for Cabernet Sauvignon to Pinot Noir, and leading him to found Benovia. 14.5% alc., heavy wax cap. · Moderately garnet in color with rim bricking. A surprisingly still enjoyable wine with tertiary character aromas of leather, cigar box, rusty iron and mushrooms on the grill. The mid weight flavors of black cherry, spice, toast, marzipan and tobacco have appeal. Softly textured with a dried cherry finish showing modest tannic astringency. This 15-year-old wine has aged magnificently. Drink up. Cohn Estate Vineyard is a California heritage vineyard, first planted in 1970 by Enid Sales, a noted California preservationist. She chose to plant Pinot Noir and Zinfandel, two varietals she liked to drink. 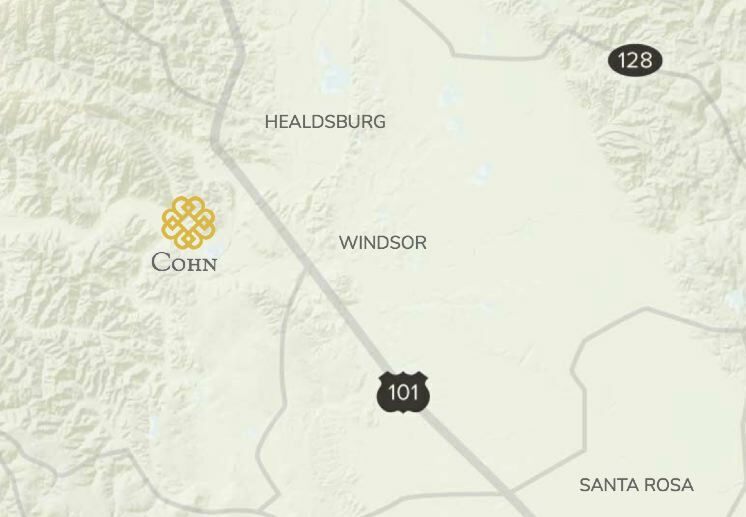 Joe Anderson and Mary Dewane acquired the Cohn Vineyard in 2002. Technically, the vineyard is just west of the Russian River Valley AVA boundary and so carries a Sonoma County designation on Benovia bottlings. 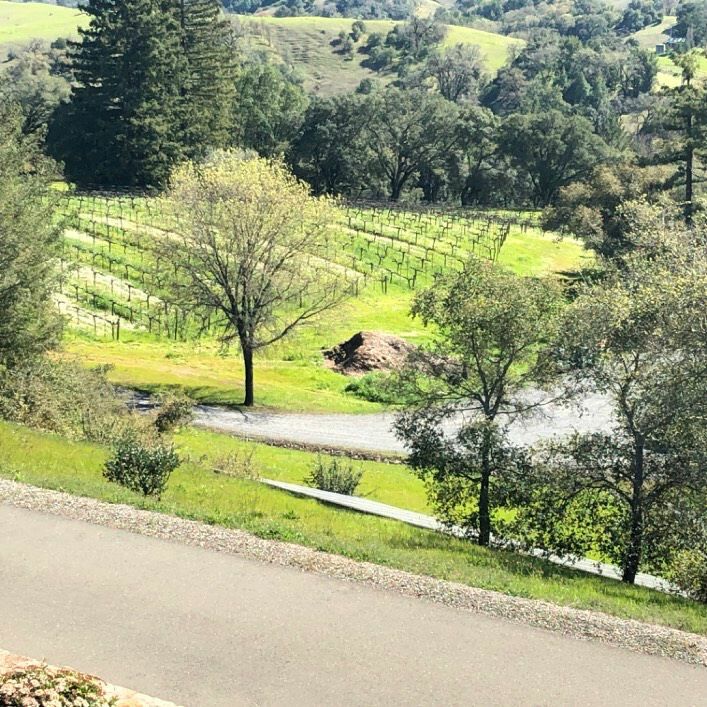 The vineyard is partially secluded by forest and offers sweeping views of the Russian River Valley by virtue of its 700 feet elevation. 18 acres are planted on the 55-acre property, almost evenly split between Pinot Noir and Zinfandel. The Pinot Noir plantings are most likely Martini 13 and Pommard clones. Cohn Estate Vineyard is highly unique and notable for its iron-rich soil, sometimes called “Terra Rossa.” There is a top layer of quartz and riverbed stones allowing for excellent drainage. The vineyard is farmed organically (certified by the CCOF) with minimal irrigation. Small clusters yield just over 1 ton per acre. It should be recognized that the Benovia team undertook an extensive rehabilitation of this vineyard after its acquisition. The complete history of the Cohn Vineyard has been documented previously in the PinotFile: www.princeofpinot.com/article/1689/. The following upper photo shows the location of the vineyard, the middle photo shows the old Pinot Noir plantings with the Russian River Valley visible in the distance, and the lower photo shows the lower Zinfandel plantings west of the access road. The 2015 Benovia Cohn Vineyard Pinot Noir has just been released and is being offered for $75. Visit www.benoviawinery.com. The 2016 Williams Selyem and Kosta Browne Cohn Vineyard Pinot Noirs have not been released.